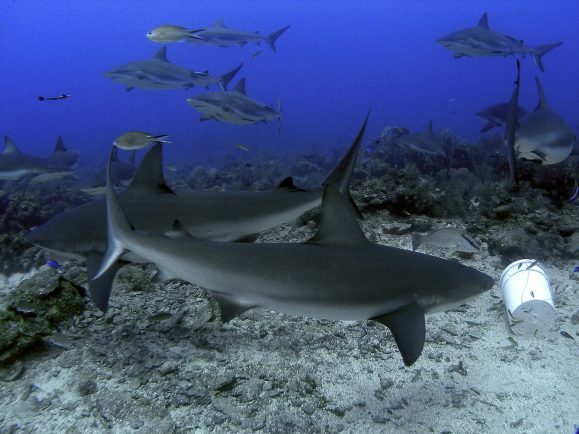 In the Bay of Islands of Honduras, Roatan has become a mecca for underwater lovers. 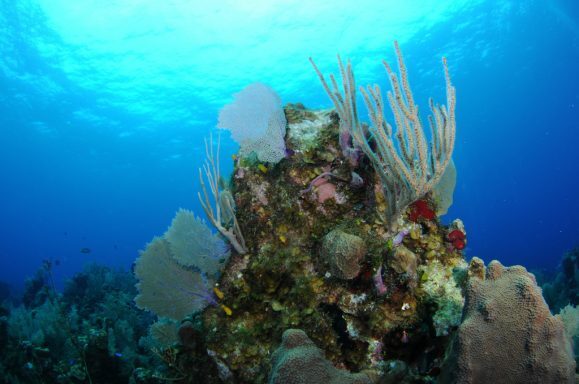 Roatan is home to some of the best scuba diving dive sites in the whole Caribbean. Its calm conditions and affordable prices make it a fantastic place to learn how to dive. Roatan is also a popular holiday destination for Americans and Canadians escaping the winter, although it doesn’t feel too busy underwater with other groups diving the same dive site. The marine park and the coral reef is well managed and preserved, and only 1 boat is allowed per mooring at the same time. Visibility is always over 15-20 meters / 45-60 feet (and mostly 25m+ / 70ft+). The diversity is another strength of Roatan. Wrecks, walls, drifts, swim throughs, canyons… there is something for everybody. We spent 3 months living on the island, working as scuba diving instructors and enjoying the coral reefs and the island life. We dived all along the coasts and worked with different dive centers. 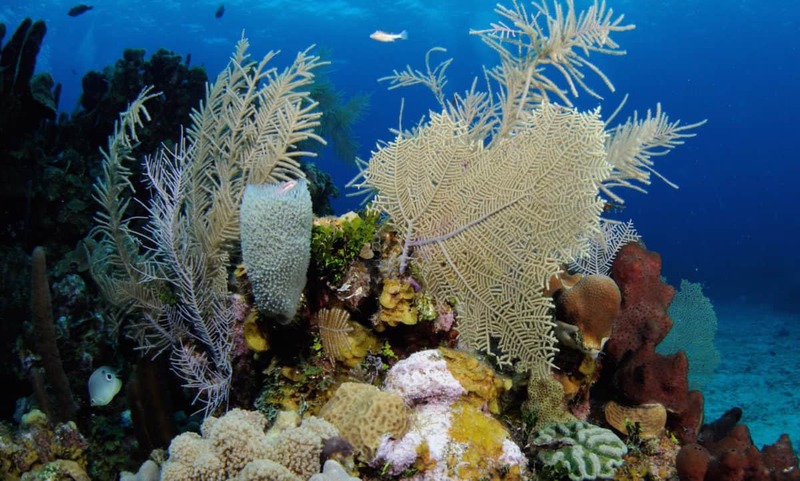 If you are heading to Central America or the Caribbean, Roatan is one of the best spots for scuba diving. Affordable courses, great visibility, calm conditions and good weather is a hard to beat combination. 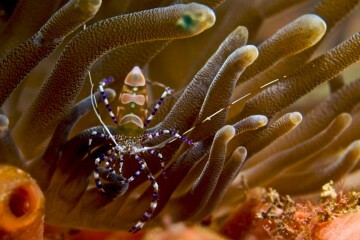 The diving is very diverse so you have plenty of sites to dive at. If you have enough time, we recommend to stay at least one week on the island. PADI Open Water Diver Courses (entry level) takes 3-4 days to complete. 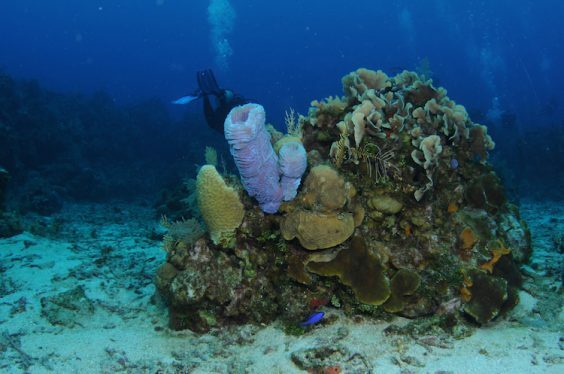 February to July is the dry and best season for scuba diving in Roatan. 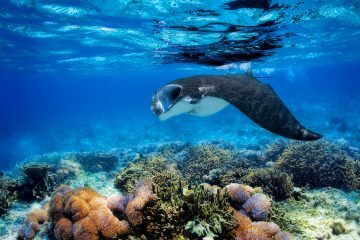 Although, the diving is good all year around. Dive Centers in West End and West Bay dive the sites on the west coast and a bit on the north coast, while the resorts tend to dive just the area around them. 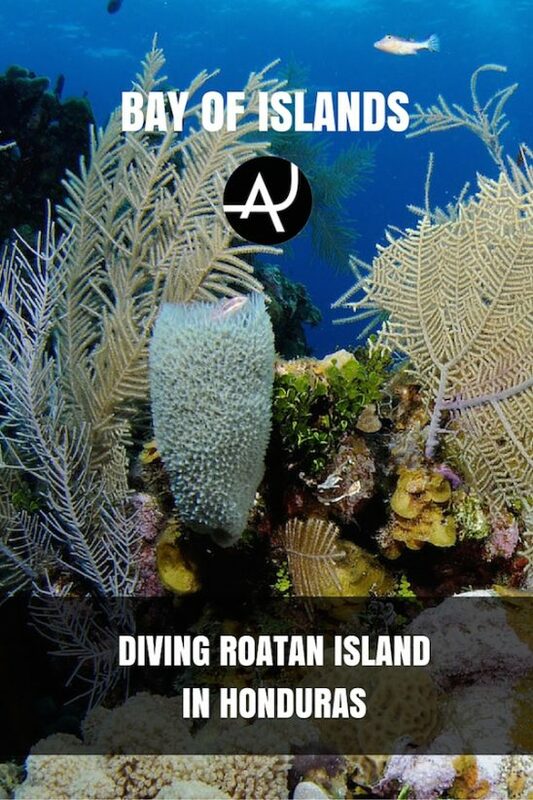 We loved Roatan Divers in West End. They are friendly and very professional, their gear is new, the groups are small and they don’t repeat the same dive sites all the time. Visibility is over 20-25 meters(70-80 feet) most of the time. The great diversity of the dive sites: walls, canyons, drift dives, wrecks… you have everything here. 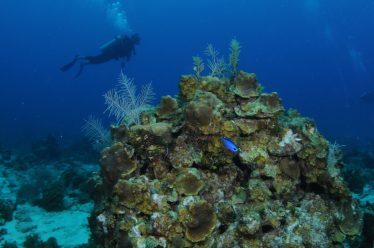 We found scuba diving in Roatan to be surprisingly good, for how many divers visit the island. Coral reefs were well preserved, aquatic life was abundant, visibility was always over 20 meters and the diversity of the dive sites was incredible. 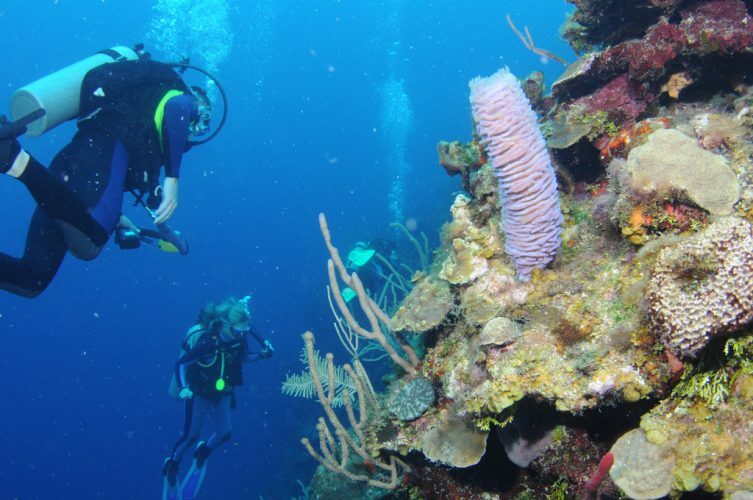 From canyons to walls, wrecks, drift, swim-throughs… Roatan has something for everybody. 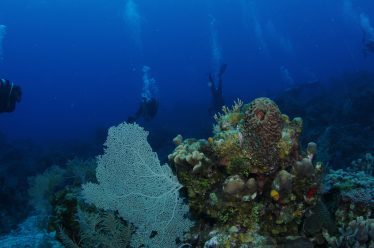 Another strength of Roatan is that it’s a very affordable place to dive making it one of the most attractive diving destinations in the Caribbean. We recommend you to bring your scuba mask and dive computer, but the rest of the gear can easily be rented on the island. It’s also a fantastic place for those wanting to try the sport for the first time. 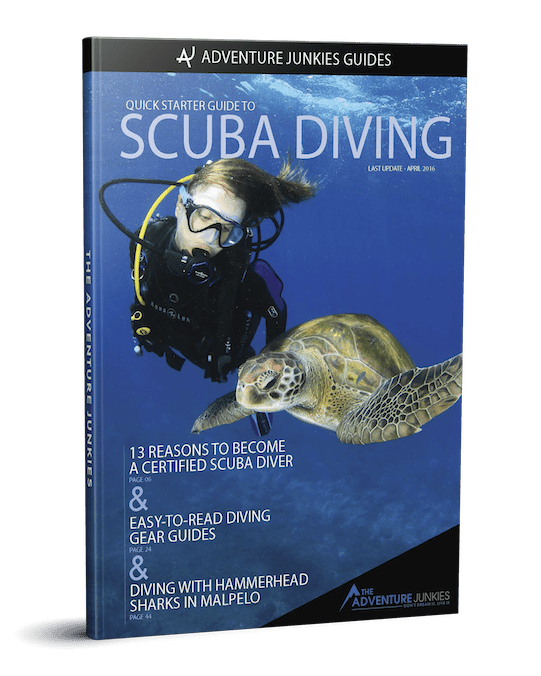 Trial-dives and full certification courses are among the most affordable ones in the world plus the calm conditions make it very easy to learn how to dive. 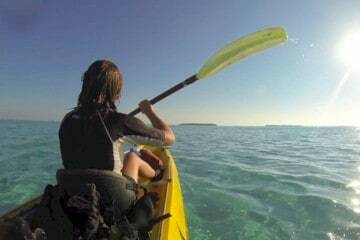 Scuba Diving and Kayaking in Glovers Reef, Belize.